Below is the translation of Pope Francis’ unscripted homily from the Mass of the Lord’s Supper. 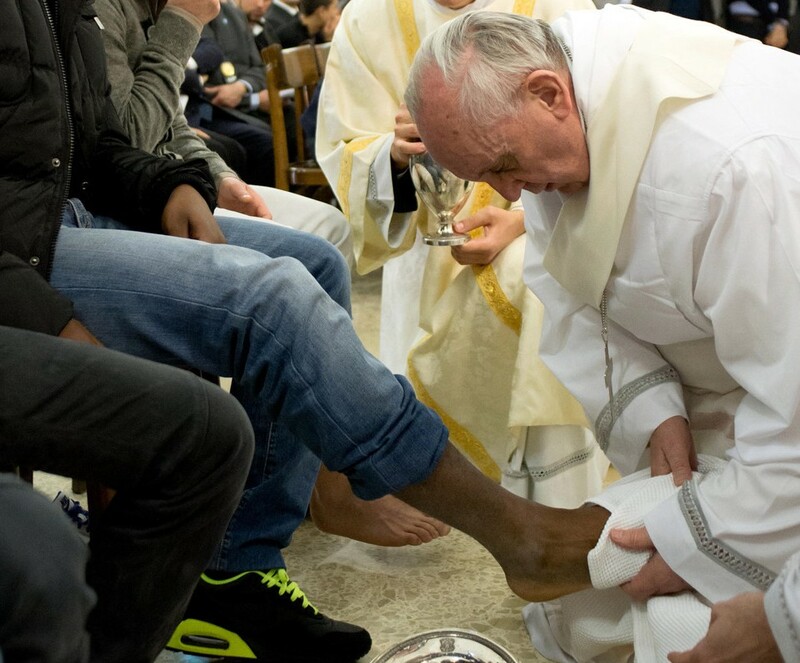 This entry was posted in Jesus, Lent, Pope Francis and tagged Casal del Marmo, Holy Thursday, homily, Mandatum, Mass of the Lord's Supper, Pope Francis, service, washing of the feet by texasnuns. Bookmark the permalink. And now look at the very short homily he preached, without a script.